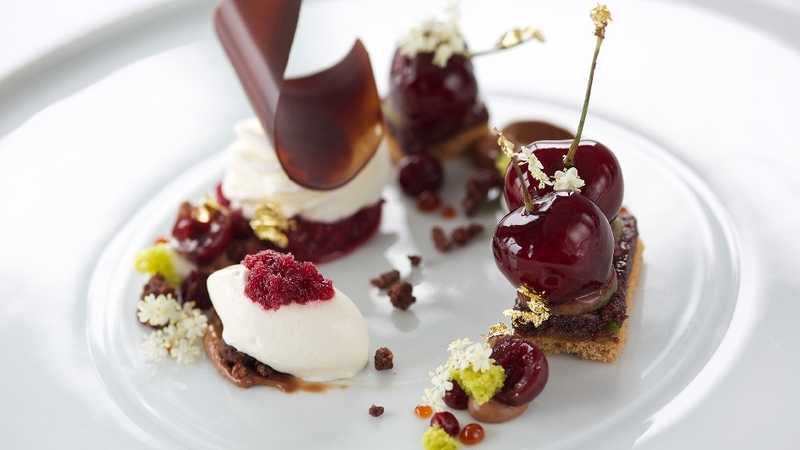 The Black Forest for connoisseurs - deluxe restaurant guide! The Black Forest is one of the most beautiful regions in Germany. The region is well-known far beyond the borders of the Federal Republic for its natural beauty and interesting attractions. Besides, Baden-Wuerttemberg has a lot to offer with its Schwarzwald! There are several great restaurants in the Black Forest and our experts have explored and tested many of them. The best 5 have made it into our exclusive Schwarzwald restaurant guide. 1. The Schwarzwaldstube - gourmet cuisine with 3 Michelin stars! The better the food - the greater the well-being and for the 26th time this top restaurant has been awarded three Michelin stars. The better the food - the greater the well-being. An outstanding restaurant in Hotel Traube Tonbach with great ambiance and attentive service. A cozy yet exclusive "Stube" with a view over the Tonbach Valley, which spoils the guests with modern cooking and an incomparable variety of aromas. In the kitchen, Head Chef Torsten Michel – a master of flavours - prepares classic and elegant meals with international nuances. Top tip: The hotel often offers culinary overnight packages and connoisseur weekends, which include fantastic menus and fine wine tasting. Brenners Park Restaurant features a lavishly decorated dining room in elegant red tones and a fantastic view over a magnificent parkland. In the kitchen, one of Germany’s youngest chefs is at work - Paul Stradner. He has earned two Michelin stars for his innovative and creative food highlights. There is nothing left to chance - excellent food and outstanding services. You can spend a lovely time here with your friends, family and loved ones. Top tip: For dress code, gentlemen are asked to wear jackets. Please note: The restaurant will be closing its doors temporarily from 30 September 2017 to March 2018 for design and content development purposes. Restaurant Bareiss is a 3-Michelin-star restaurant of award-winning Hotel Bareiss, which features a great culinary experience. The chef – Claus-Peter Lumpp went to the best culinary schoolsfrom Eckart Witzigmann to Alain Ducasse, but has clearly developed his own signature – extraordinary food creations. Top tip: The restaurant also offers a first-rate pure vegetarian menu! Opening hours - the restaurant is always closed on Mondays and Tuesdays, on the other days you should also reserve. Small and luxurious! The restaurant serves a small number of people, which is why it is why it is cozy and comfortable. Guests are served by uniquely-friendly staff with gourmet menus created by Ralph Knebel and his team. The choice is usually a five-course meal and a seven-course menu - in addition, there is a fine à la carte selection. Top tip: During the summer months the terrace of the restaurant is open - if you reserve a seat outside, you can enjoy your gourmet meal with a great view. In the middle of the beautiful old town of Freiburg, you will find Zirbelstube, an award-winning culinary institution. The Michelin star restaurant has been serving guests for more than 20 years. is a renowned restaurant with cozy atmosphere and award-winning hospitality. The restaurant serves wine from the hotel´s wine cellar, which has more than 30,000 bottles of wine that date back to 1934. Top tip: On request, the team also organizes a "Diner Oenologique" - here, up to three wine tasting sessions are served. Teaser image and featured image © Schwarzwald Tourismus.